The LGBTQ Meditation Journal offers contemplative spiritual adventures to enhance confidence and tranquility. Why was this an important book for you to write? Your question necessitates a brief history of the Meditation Journal genesis. Mary Sheldon originated The Meditation Journal concept, back in the mid-1990s. 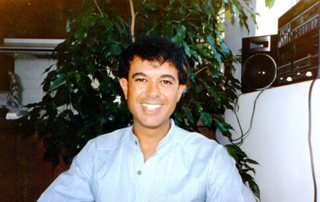 By the end of that decade, three highly successful books of guided meditations had been published, namely, The Meditation Journal, Meditations for the Twenty-first Century, and Meditations on Relationships. Our first three volumes flew out of Costco and Target stores nationwide, as well as traditional bookstores. We were surprised by their immediate success. For a while, we considered a fourth volume, Meditations for Teenagers, but for various reasons, the book never happened. Five years ago, Christopher signed on with Laura Baumbach’s MLR Press, a publisher of primarily LGBTQ fiction, and he has subsequently written three novels and four short stories for the Press. 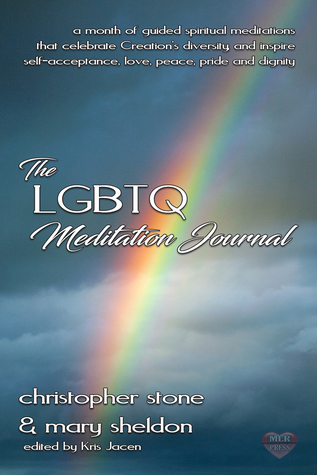 Ever since becoming an MLR Press author, I have thought about an LGBTQ Meditation Journal. In the summer of 2016, at Mary Sheldon’s housewarming party, I asked my non-LGBTQ co-author, if she would write it with me. She said, “Yes!” and soon thereafter, I pitched the book to Laura Baumbach. The publisher greenlighted the project and then blessed us with her amazing Executive Editor, Kris Jacen, as our editor. When trying to improve any area of our lives, Mary Sheldon and I turn to the real and eternal, namely the spiritual, rather than to the erroneous and temporal, to wit, the material. So, for the both of us, it is organic to improve all of the conditions of our lives with the metaphysical discipline of meditation. So, it follows that it was important for us to help others help themselves by using the same spiritual approach that we use effectively in our own lives. But even though the LGBTQ Community was our focus, we were determined to write guided meditation adventures that could benefit everyone, LGBTQ, or not. I felt that there was a focus on self-love and acceptance in this book. What were some themes you tried to capture while writing? Yes, self-acceptance and self-love are essentials for healthy, successful living. We both believe that everything made by the Creator originated spiritually and perfectly. And so, Christopher and I ask readers to employ a spiritual perspective when using our meditation adventures. We ask everyone to think of themselves as the perfect, spiritually-created, externalized ideas of the Creator’s making, and not as the flawed material beings reflected in the mirror. Our point of view reflects Divine Science rather than Earth’s limited material sciences. And, regardless of the current conditions in their lives, we want everyone to know they have value and worth; quite simply, they matter. After reading this book I felt that my open-mindedness of the world was reinforced. What do you hope readers take away from this book? We hope readers will open their minds and hearts, and come to an understanding that self-acceptance, love, peace, pride, and dignity are essential. And we want them to know that if these qualities are now in short supply, our guided meditation adventures are one excellent method of enhancing them. Christopher and I would like to write The Children’s Meditation Journal. Of course, winning a contract for such a book is largely contingent on the current book being successful. Right now, Christopher is in edits with the second volume in his series of Minnow Saint James Metaphysical Adventures novels. It is named The Coming of Beth, and it will be MLR Press published in the first half of next year. 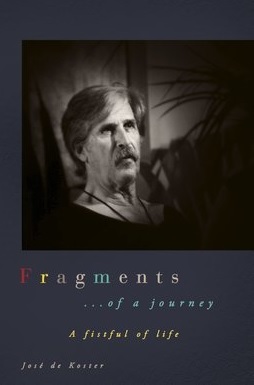 For the fourth in their highly successful series of guided meditations books, Christopher Stone and Mary Sheldon focus upon the LGBTQ Community, offering a month’s worth of contemplative spiritual adventures to enhance confidence and tranquility while inspiring self-acceptance, love, peace, pride, and dignity. Edited by Kris Jacen, the book explains the process of focused attention known as meditation and it offers a simple relaxation technique to induce a meditative state of mind. Editor’s Note for eBook readers: For those that do look at page counts between print and ebook files, there is a big discrepancy between the print and ebook editions of this journal in PDF format. Don’t worry, you are not missing any content. The difference is that the print version of the book contains space to note several months observations for each meditation. Posted on November 22, 2017, in Interviews and tagged amazon, amazon books, amazon ebook, author interview, book, book review, books, bookstore, christopher stone, costco, divine science, earth, ebook, ebooks, gay, genesis, goodreads, health, healthy, housewarmin, housewarming, interview, kindle, kindle book, kindle ebook, kobo, lesbian, lgtbq, literature, living, love, mary sheldon, meditaiton, meditation, nook, novel, open minded, peace, pride, publisher, publishing, read, reader, reading, relationships, review, reviews, self love, spiritual, target, the lgbtq meditation journal, write, writer, writing. Bookmark the permalink. Leave a comment.